The administrators of a store sign designer have instructed CAPA to conduct a full property audit on the business, after the problems engulfing UK retailers claimed another casualty. SP Group, an employer of more than 350 staff that creates store front displays and shop signs, was placed into administration in July 2018, four months after it had been purchased by its current owner – the investment company SelmerBridge. SelmerBridge is an investment vehicle set up by French former investment banker Landry Kouakou. Based in Redditch, SP Group had suffered from a significant decline in turnover following the loss of key customer contracts in the autumn of 2018, along with a further decline in customer support since the business was acquired in March 2018. The administrators of SP Group, Allan Graham and Matt Ingram of Duff & Phelps, were appointed on July 24 2018. They issued a statement at the time explaining that the fall in turnover and customer support had created a challenging financial situation, in a highly competitive market. Combined with the increasing uncertainty for the retail sector, these factors led to SP Group’s insolvency. Duff & Phelps has now appointed CAPA to conduct a property audit across SP Group’s sites. The instruction will involve a forensic analysis of SP Group’s property outgoings. 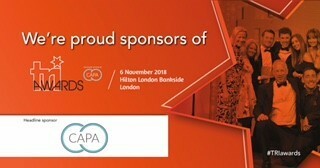 CAPA’s auditors will use bespoke software to uncover multiple elements such as errors in utility bills, or any overspend across the outlets, before recovering the cash for SP Group’s creditors. The team will also inspect rates paid out across the sites, to identify any anomalies, and subsequently recover further sums for creditors.